Robert Smith called into Sirius XM this week to chat about The Cure’s induction into the Rock and Roll Hall of Fame next year, and, along the way, revealed that work is nearing completion on the band’s first new album since 2008 and a Tim Pope-shot film of the group’s huge 40th anniversary concert in London. 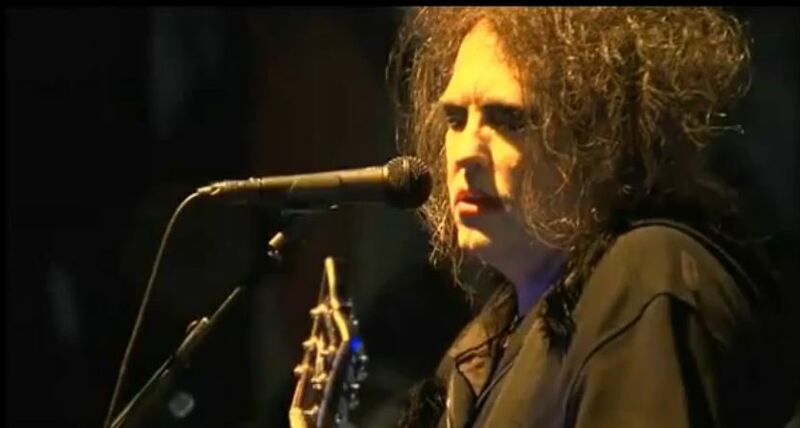 Back in February, The Cure announced ambitious plans for 2014, including the release of a new album — the companion to 2008′s 4:13 Dream — as well as a third round of “Trilogy” shows worldwide, which would find the band performing The Top, The Head on the Door and Kiss Me, Kiss Me, Kiss Me. 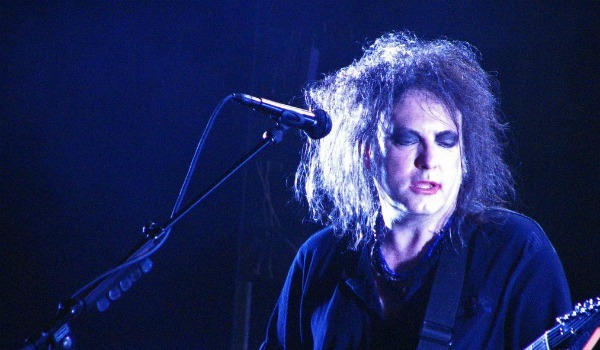 As Robert Smith first teased last summer, The Cure will return to South America for the first time in 17 years this April, mounting its first-ever large-scale tour of the continent, performing seven concerts in Brazil, Paraguay, Argentina, Chile and Colombia — followed by a one-off show in Mexico City to end the trek. 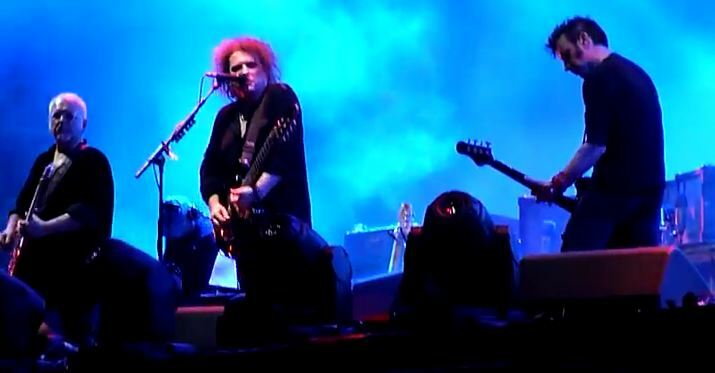 The Cure tonight played the first of at least 19 European festival dates on the books this summer, and Robert Smith had a little secret to reveal at Holland’s famed Pinkpop Festival: new guitarist Reeves Gabrels, a former David Bowie collaborator who previously recorded with Smith in the late ’90s. 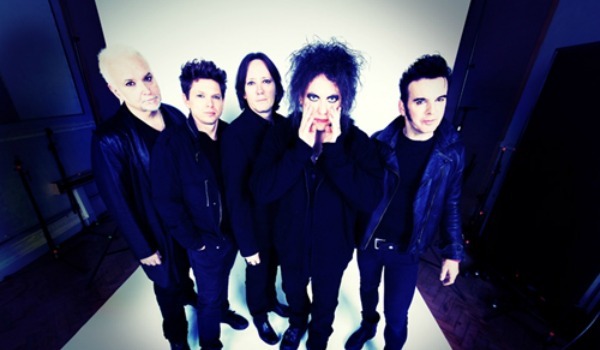 The Cure this morning confirmed headlining slots at three European festival performances this summer — Hultsfred Festival in Sweden and Hurricane and Southside festivals, both in Germany over the same weekend — with a promise of ‘lots more to come,’ according to the band’s official site. 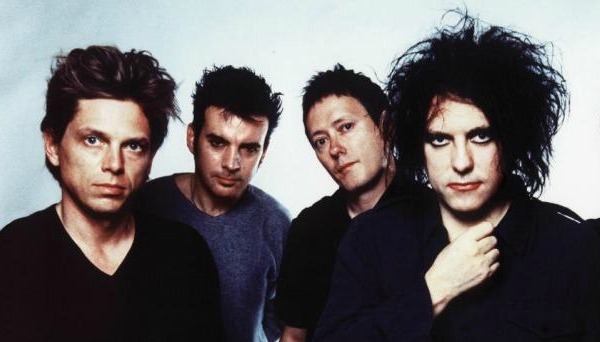 The Cure won’t be going back into hibernation following last year’s sudden burst of activity, as Robert Smith tonight announced on the band’s website that, ‘The Cure will be headlining a series of major European music festivals this summer.’ The first 3 will be announced Monday.